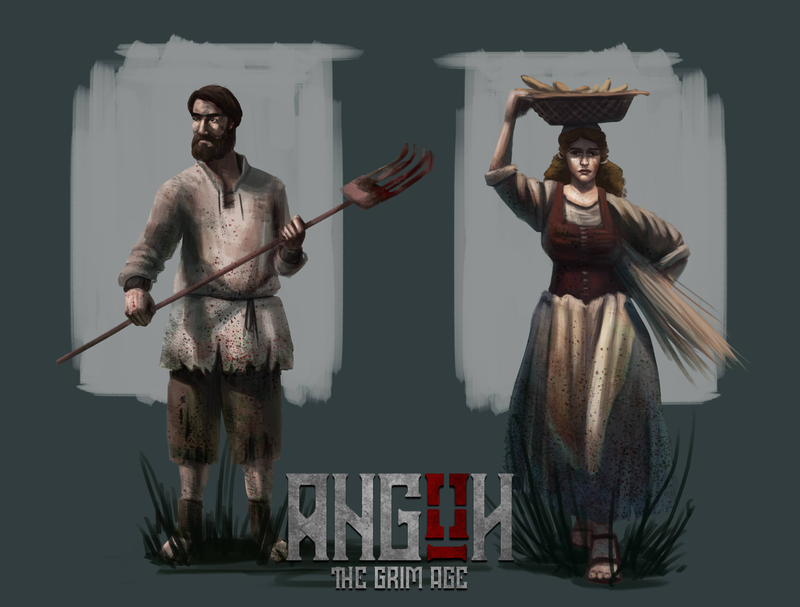 In Angon - The Grim Age, role-playing faces a medieval apocalyptic story about survival and politics. Enter into the journey that leads the world to chaos and misery, exploring unique places on the wasted land of Eradon. Take decisions that can shape the destiny of the people, battle on turn-based old rpg style and immerse yourself in the rich and deep lore with unique npcs that actually cares with your actions. The people of Hellstad waits for your arrival. - Rich, deep and mature lore, divided by charpters with different finals. - Huge armory, +150 weapons and equipments, fully craftable. - Turn-based combat, inpired by Battle Brothers system, with many realistic features. - Survival elements, manage your party and help the people to survive through this dark times. - Differents decisions with differents consequences. With the intention of presenting to you more about the world and his culture, we decided to write this article. Eradon is an ancient continent, full of kingdoms fighting each other for centuries. With years of war and chaos a nation has emerged, the Empire of Astrae, who took advantege of his weak and exausted neighbors. Three centuries later, the Emperor would face a huge revolution on his own land, leading the old Empire to ashes, giving birth to the democracy and the Republic of Cleta. With the new government system, become new traditions, and the Cletians had developed a whole new concept of army, trade and exploration. From now on, every Republican man wants to make fame and fortune, whether through the army or through politics. The Legions of the Republic had conquered almost half of Eradon quickly, and soon realized that war against old and traditional kingdoms had a large cost. Conquer and maintain territories on Eradon became costly and outdated. The necessity of expand leads the Republic to be the pioneer on the Naval Expanse. Every sailor around the territory had joined a crew to search and explore lands beyond the continent. In this time, find a new land means prestige and fortune. With this, the state become even more richer, starting a era of development and technology. Cleta is more powerful than ever, and the corruption became a problem. Starvation has never afflicted the people of the republic, but now, 1 of 3 is starving to death. The government charges high fees to war and maintenance of the Republic. The people are no more happy and rumors about civil war is growing on the suburbs of Hellstad. Riots has became common on the cities, and the government fights back with steel and powder. But this... This is the good news. 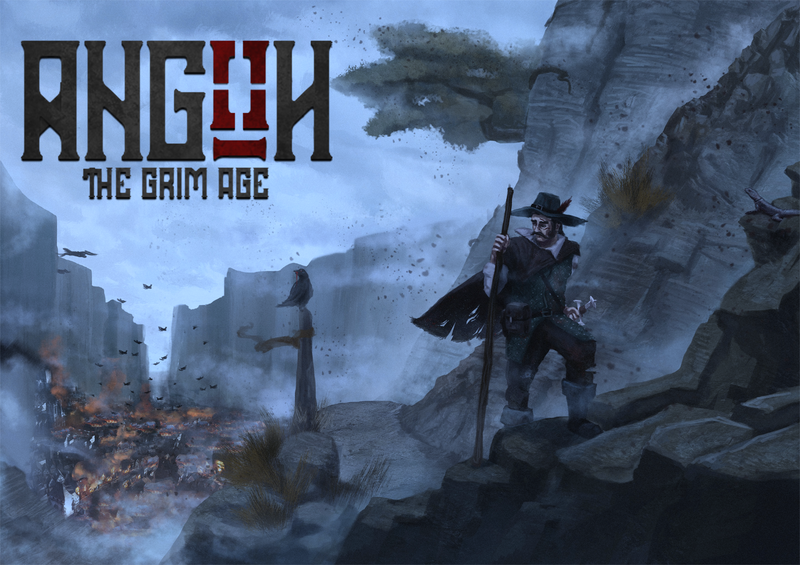 Today we brought a little bit about the process to make the concept arts of Angon - The Grim Age. A little about the game development and features! Check out! There's no better place to an adventurer stay than a good old tavern full of rats and beer! Big hug from Saint Gonçalo! From your friend Leon of SG. Great game anxious for Demo Version! Very anxious for this game!